Gently light-up the night with these phosphorescent nightlights and lamps: they keep on shining in the dark even after switch off! And let the soft and trendy colors of these lamps bring the final touches to your kid's room design. 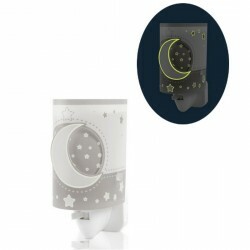 Moonlight is a phosphorescent night light with a soft grey decor of moonlight and stars. La gamme My Little Star se dérive en veilleuse phosphorescente. 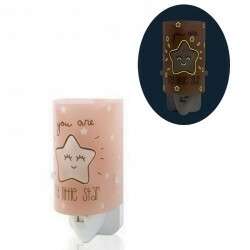 My Little Star is a trendy nightlight with a mint green color. And the stars become phosphorescent when you switch off the light! 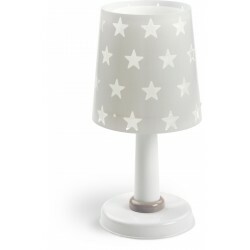 This green nightlight decorated with small stars will shine gently and fit perfectly into the decor of a child's room. DALBER collections offer a wide range of lights and phosphorescent nightlights of several colors. Unicorns table lamp, with its pretty shiny drawings of unicorns. 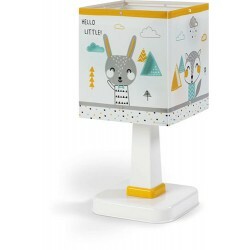 Hello Little table lamp, fun fixtures for your kids. Table lamp "time to sleep", with sheep motifs. Among the new colors proposed for the table lamp of the DALBER collection, Pioupiou et Merveilles selected this grey table lamp. This phosphorescent nightlight from the DALBER collection is decorated with stars that shine even when the light switch off. This phosphorescent nightlight from the DALBER collection is decorated with stars that shine even when the light is switched off. 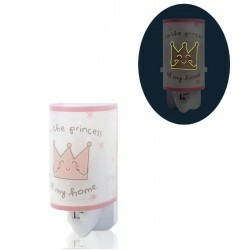 This nightlight Princess from the DALBER collection gently enlightens the room of your little girl. And the phosporescent crown starts shining when you switch off the light! 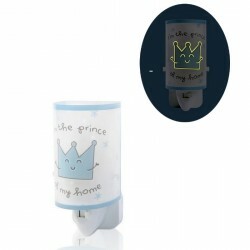 The phosphorescent nightlight Prince will enlight your little boy's bedroom, and he will love the phosphorescent crown when you turn off the light!